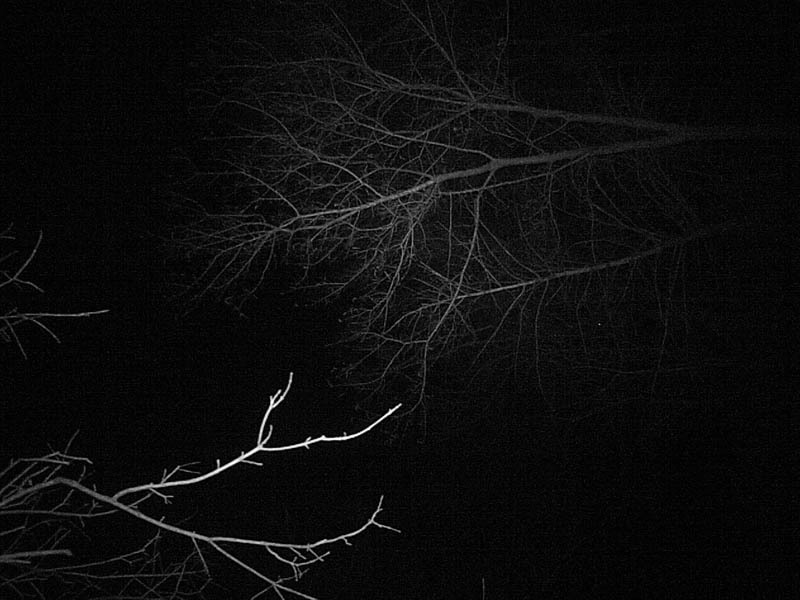 I have been experimenting lately, attempting to develop some new camera trapping techniques that I can use to record images of some of our more surreptitious wildlife. So far the results have not been promising. 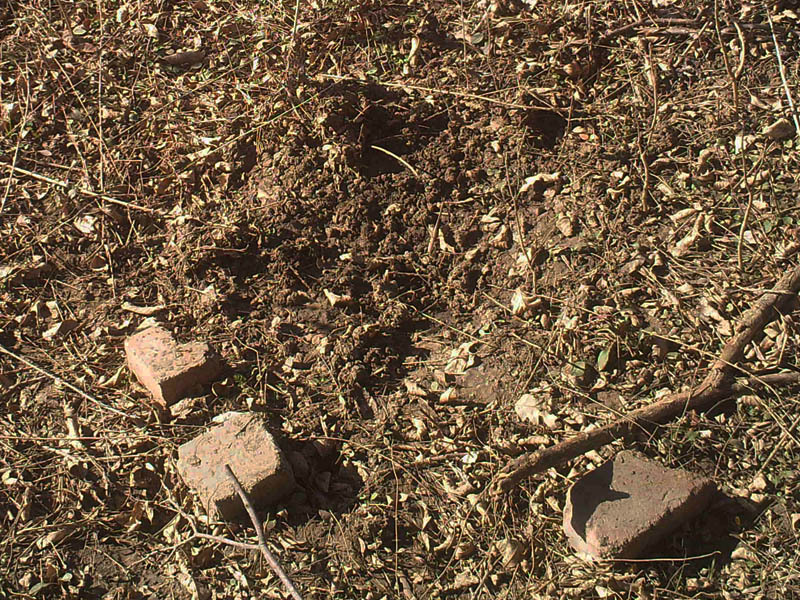 The problem can be summed up in one word—Raccoons. 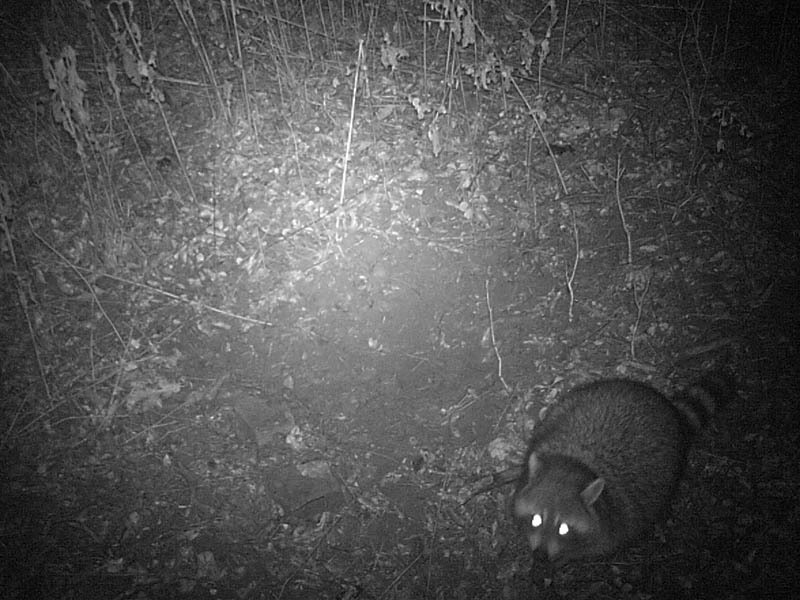 These wily little creatures are always first on site when ever I setup a baited camera trap. 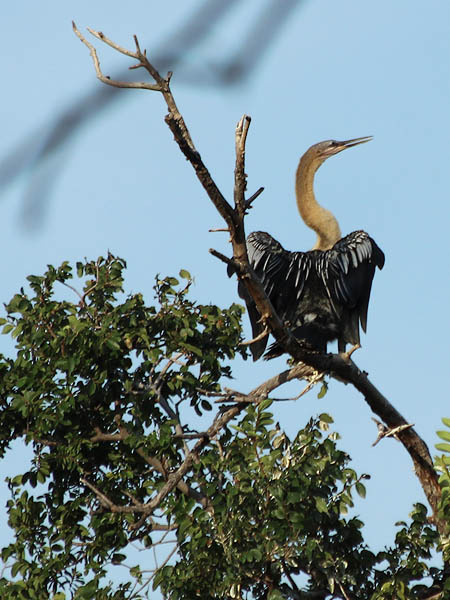 Sometimes they show up within just an hour or two after I leave. 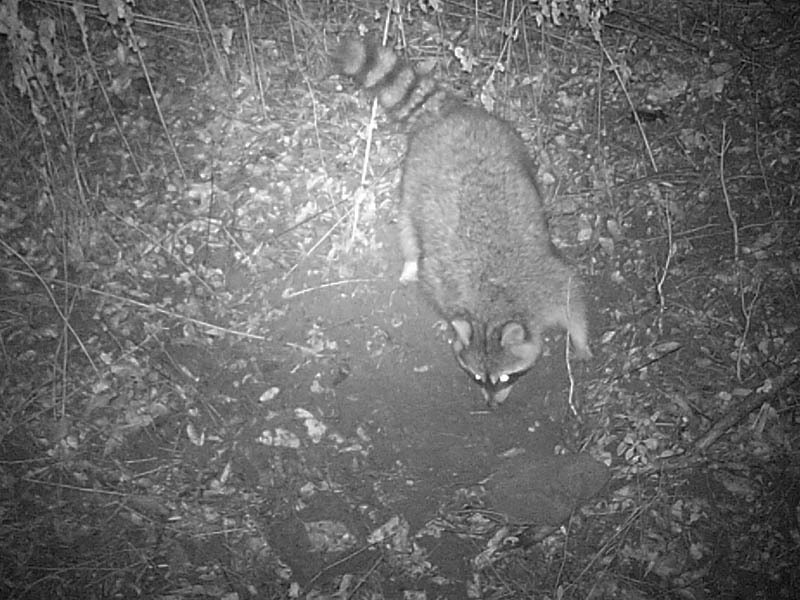 Raccoons eat just about anything, so it rarely matters what kind of animal I am targeting with my bait selection. 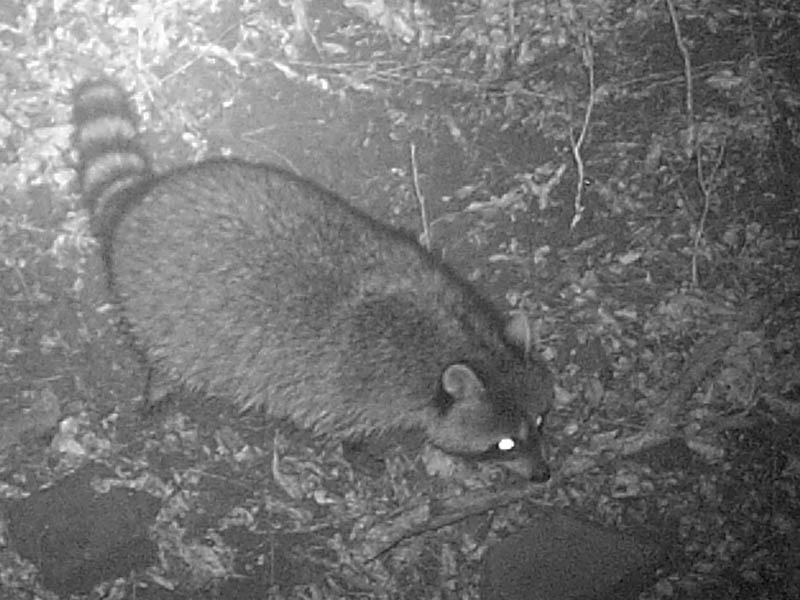 Whether its sardines, or apples, or peanuts, or whatever, the Raccoons are drawn like a moth to a flame. 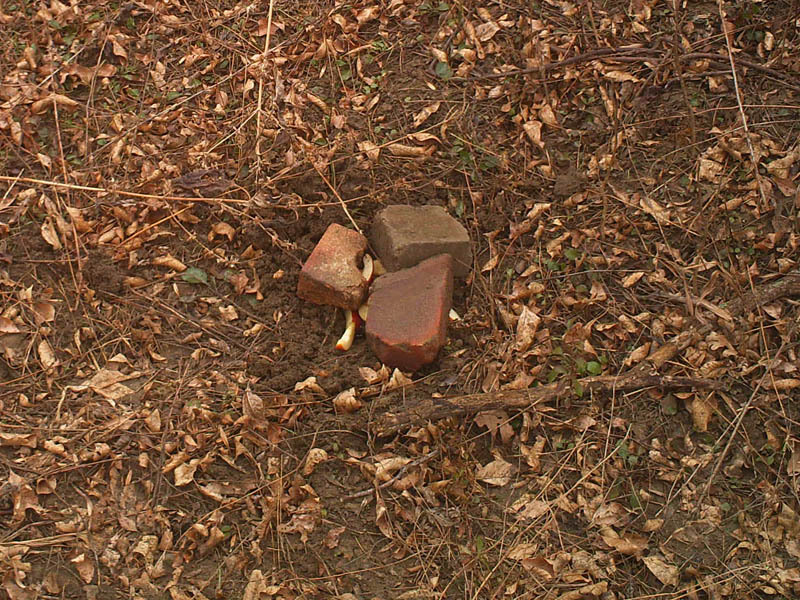 In this case I baited my camera trap with a tasty mixture of sardines, apples, and honey. 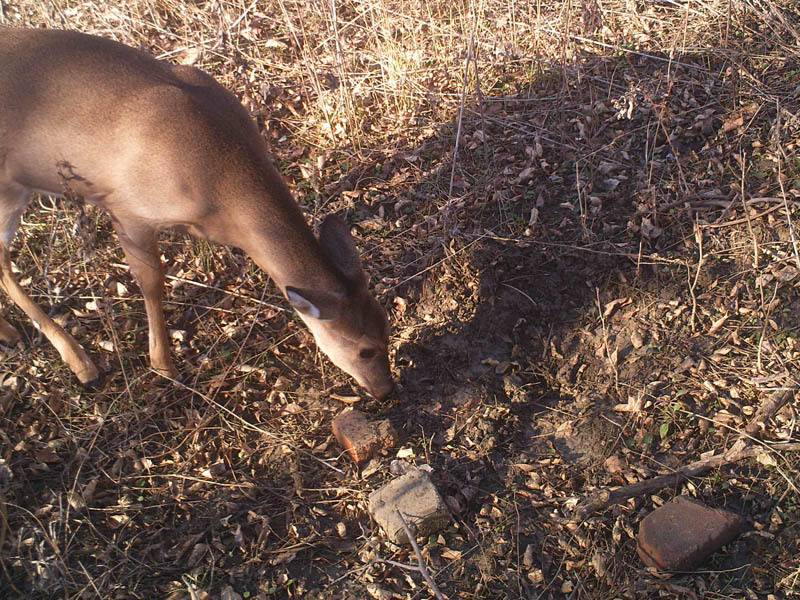 I covered the bait cache with some discarded bricks in order to encourage any critters that might come by to stay in front of the camera just a little longer. 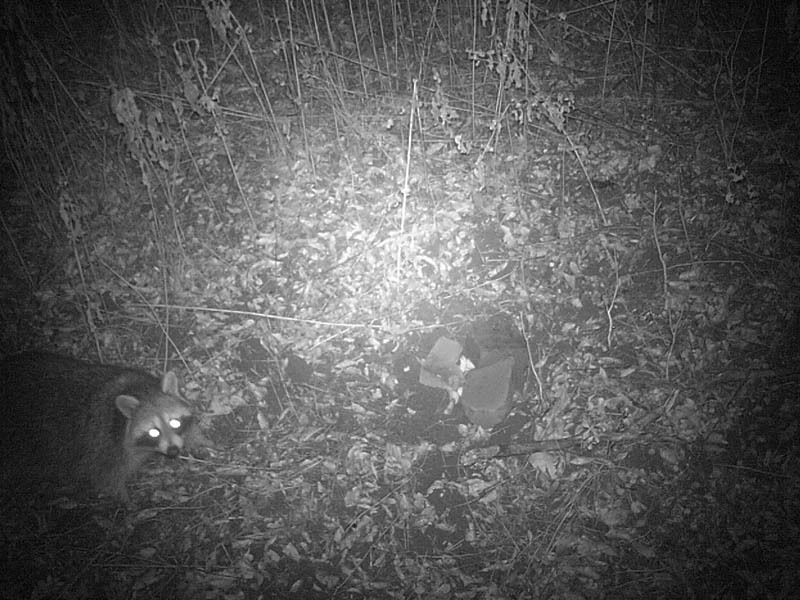 I had a couple of different small mammals in mind when I set this camera trap, but Raccoons were not included on the list. 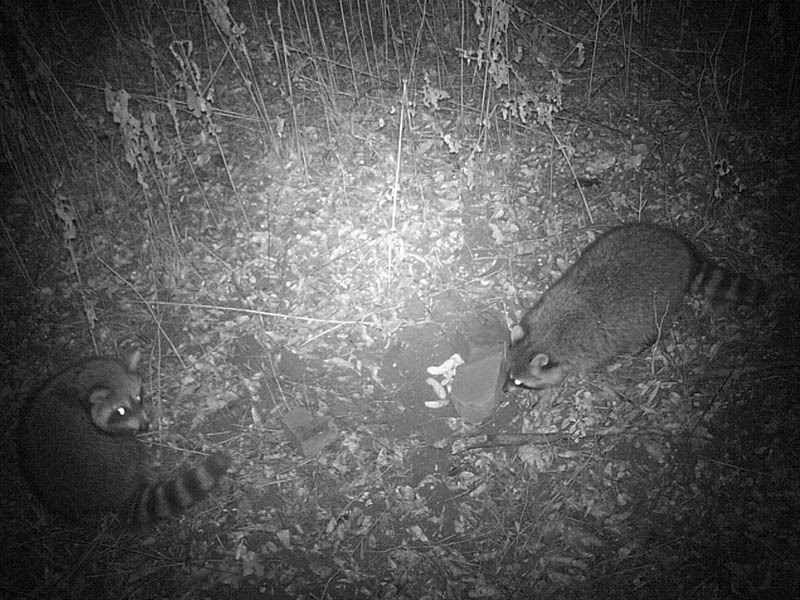 Nonetheless, Raccoons were the first animals to arrive on site, and after cautiously approaching the food cache, they made short work of it before the first night was over. 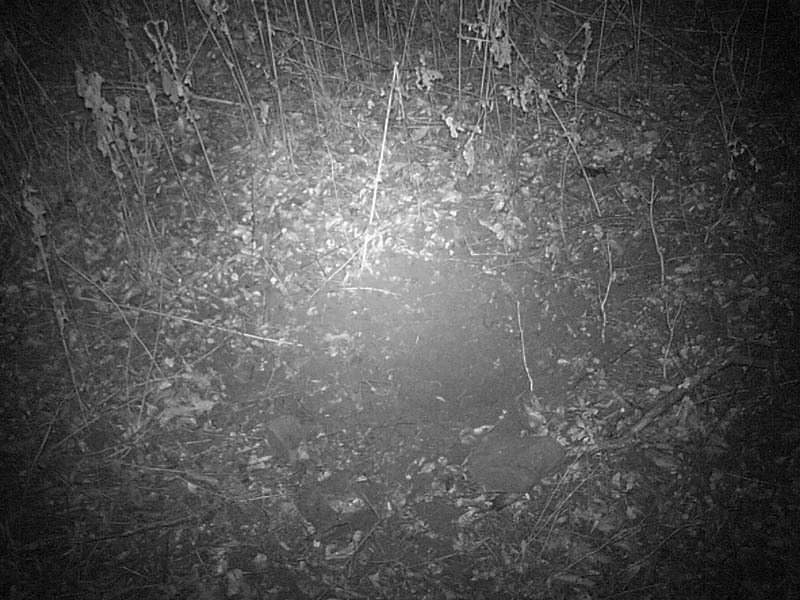 The bait I used appears to be a powerful attractant, because these Raccoons continued to return to the site every night for the next five days. Over this time period they moved the bricks and dug and dug, but the food was all gone. 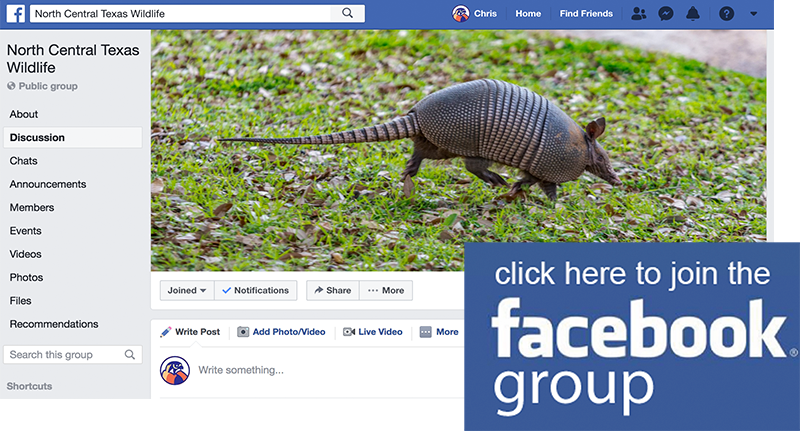 Looking at the resulting pictures you can get a sense of the Raccoon’s mounting frustration. 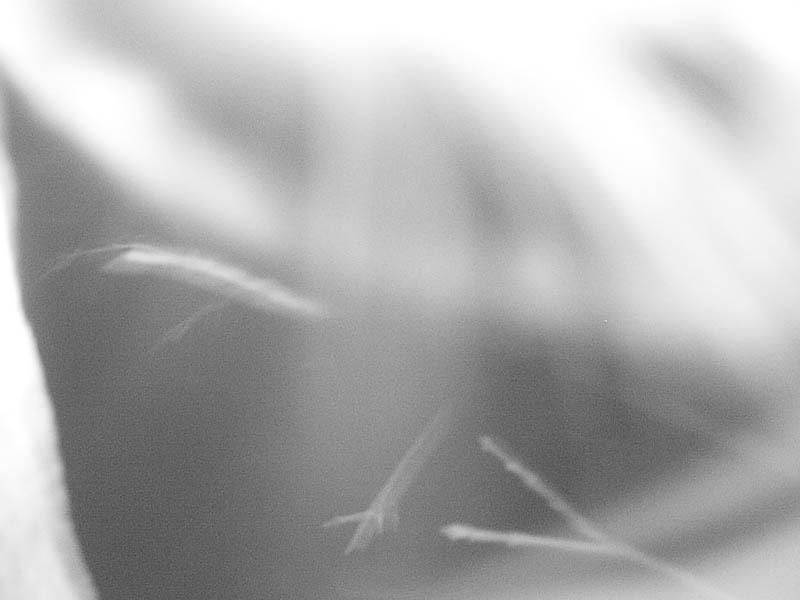 During this time period a few other animals did appear in front of the camera. 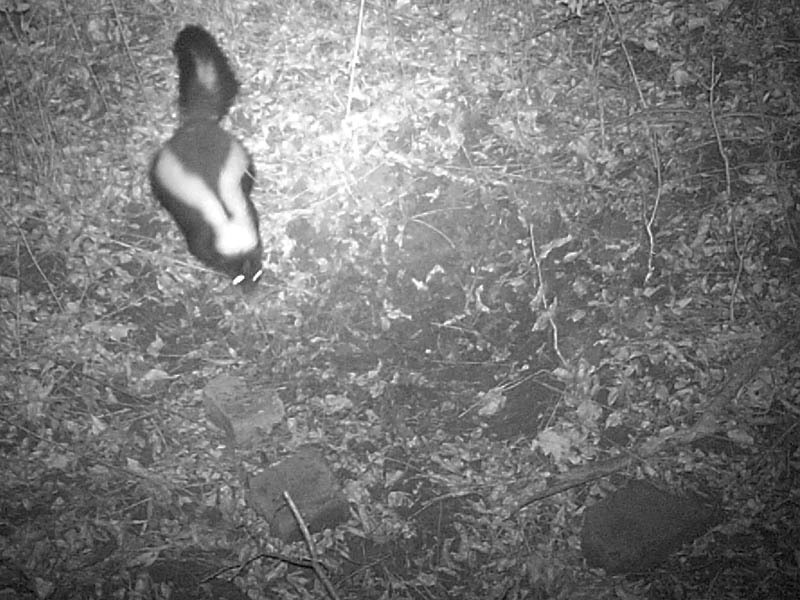 One night a Striped Skunk wandered through and sniffed what was left of the bait station before moving on. Early on another morning a White-tailed Deer did the same. 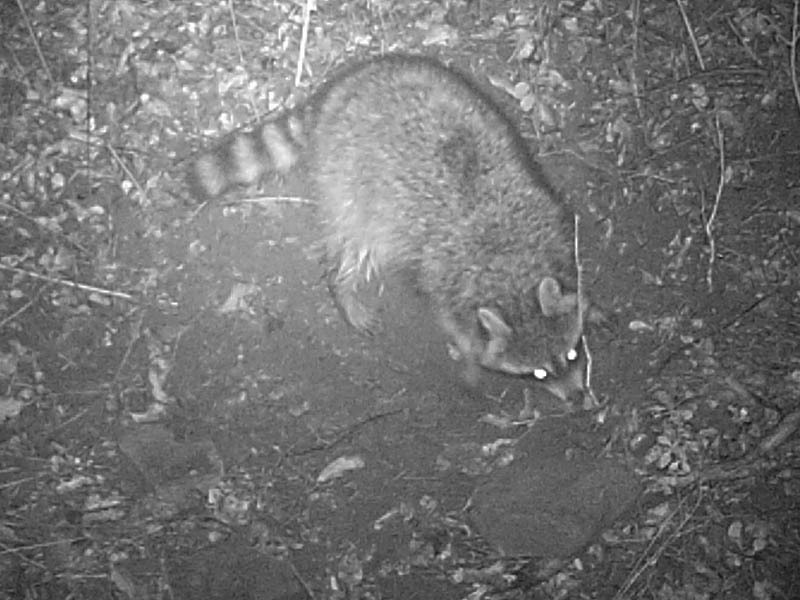 The Raccoons continued to stop by every night, often spending considerable time searching for the missing-in-action bait cache. 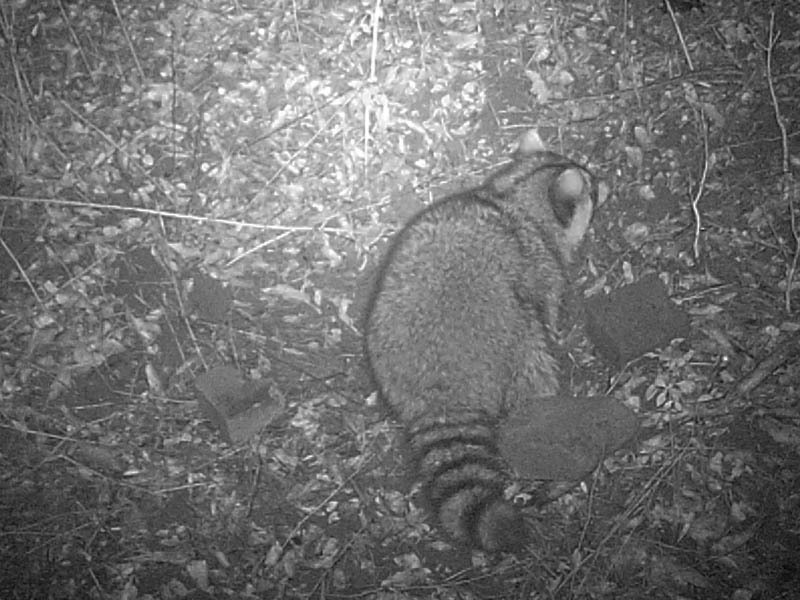 Like I mentioned earlier, the Raccoons became more and more agitated as the days passed and the food remained absent. When I came to the photograph below, I knew I was going to be in trouble. 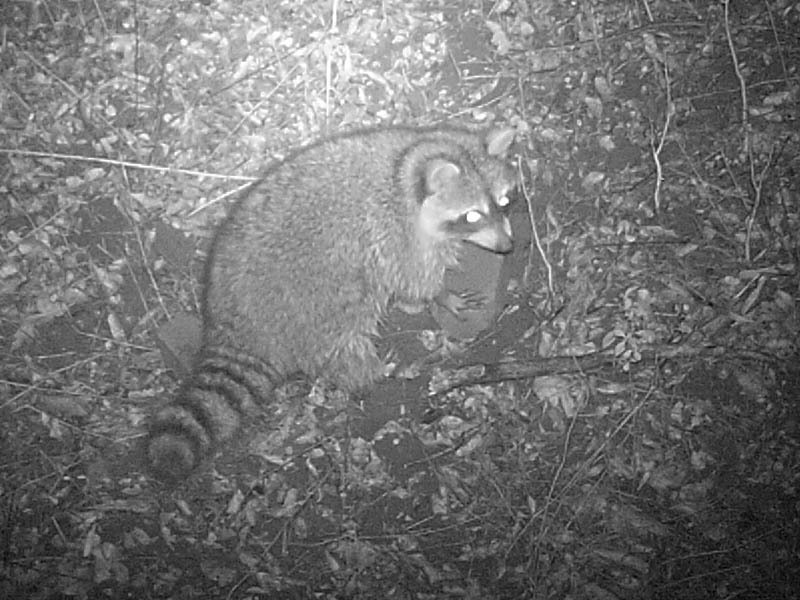 This Raccoon had decided to take out his frustrations on my trail camera.  The next picture in the series was an overexposed close up of the angry Raccoon’s face. Over the next several minutes my camera was thoroughly accosted by the masked menace, and the end result was a camera left pointed toward the sky. 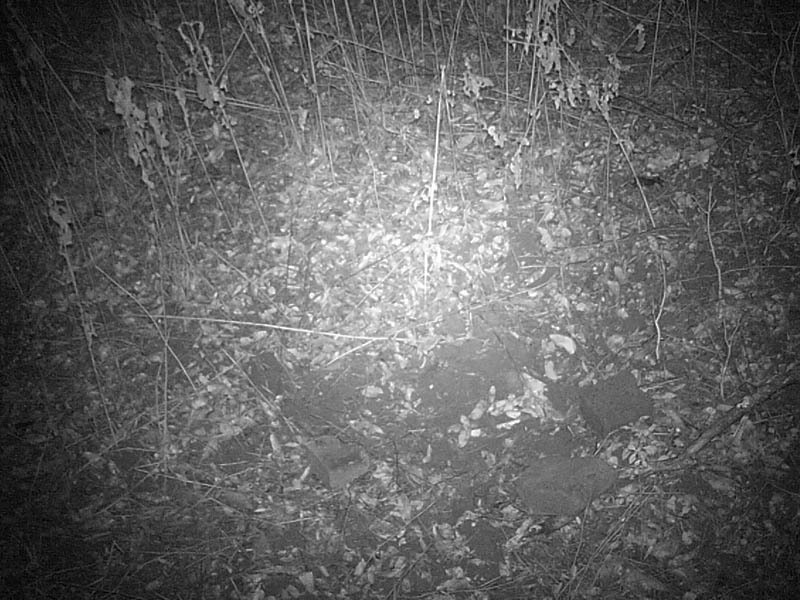 This camera trapping session was now officially over!